Have you ever wondered if it is possible to mix the erratic juxtaposed noise of early Nine Inch Nails with the abrasive angst of Ministry? And on top of that trickle a fancy touch of prog sensibility? 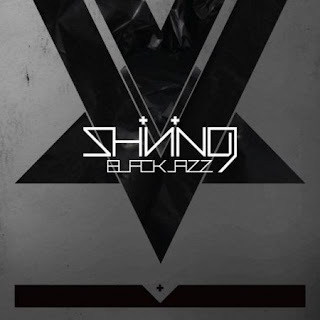 Norwegian Avant-Garde Jazz/Metal band, Shining, proves that it is possible and there's no boundary to their music that is left unexplored in their mind-numbing 2010 release, Blackjazz. Fronted by Saxophonist and Multi-instrumentalist Jørgen Munkeby, Shining boasts an extremely energetic and fresh combination of two extreme genres of music; Jazz and Metal. With fuzzy guitar leads, screeching synths and massive growls that could leave scratch marks all over your walls, Shining has not only refined a long-lost sound of the 90s industrial genre but has also made it their own with their unique touch of prog metal and jazz on this 9-track LP. HEALTER SKELTER is a great stand-out track on Blackjazz, mainly due to the hypnotic saxophone intro intertwining with the fuzzy bassline and sporadic drums. It sounds as though 70s prog got pissed off and went on an all-out rampage. With the absence of vocals, HEALTER SKELTER is definitely highlights Shining's instrumental prowess. Ending the album with a cover of King Crimson's 21st Century Schizoid Man, this rendition pushes the original further into Schizophrenic madness with louder droning guitars, squealing sax and on top of it all, a very monstrous vocal performance. It just brings an old prog classic back to life from an angle most bands would usually falter. Pure badassery alert right here. I have nothing but praise for this band, but as much as I enjoy Blackjazz, I would have preferred if they've made longer filler tracks (Exit Sun Pt. 2 and The Madness and The Damage Done Pt. 2) just so it would display a different facade on an already technically amazing band and provide a breather in between all the aural assault. p.s: I know the album was released 3 years ago, but I've only found about them this year and had the strongest overwhelming urge to just review the album. so just enjoy reading it and check them out if you haven't. and if you have, good for you. there's more to come.